Hi guys! It's been long. I promised to do up a new post last month but I didn't have the time. Squeezed a bit of time to shoot this outfit, courtesy of Space Invasion. The kind people sent me this basic red top from Ellysage and my leggings from P.I.N.K. I am not used to wearing basic tops but this one fits me really well and it actually has a slit at the back... which I do not plan on showing. BUT!! I'll include the link below at the end of my post for easier viewing. 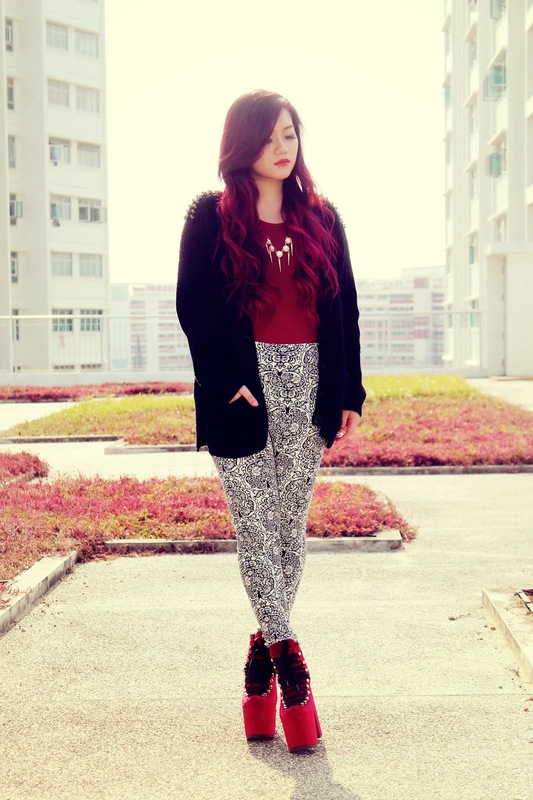 *ps, will do a lipstick guide in my next outfit post, do look out for it! wow! 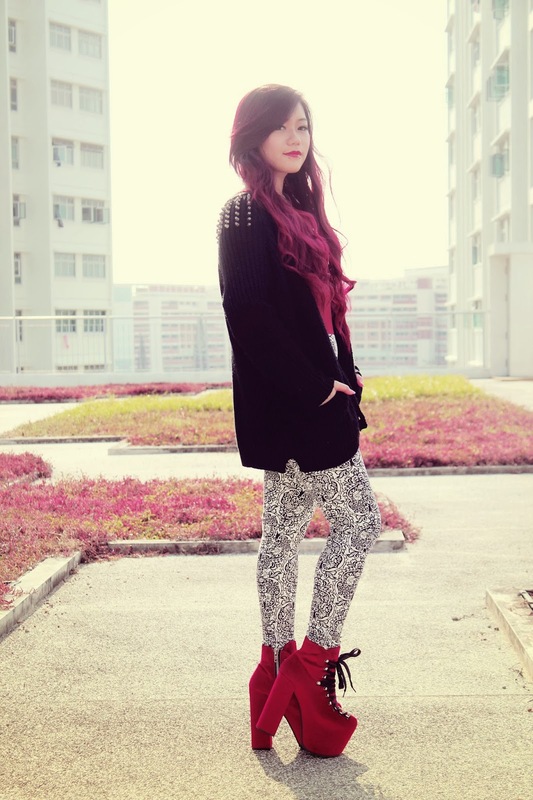 love your shoes and hair color soo much! Great outfit! I really love your hair and your necklace! Your blog is lovely and you are so pretty! Would you like to follow each other on GFC, facebook and bloglovin to stay in touch? Let me know, thanks! 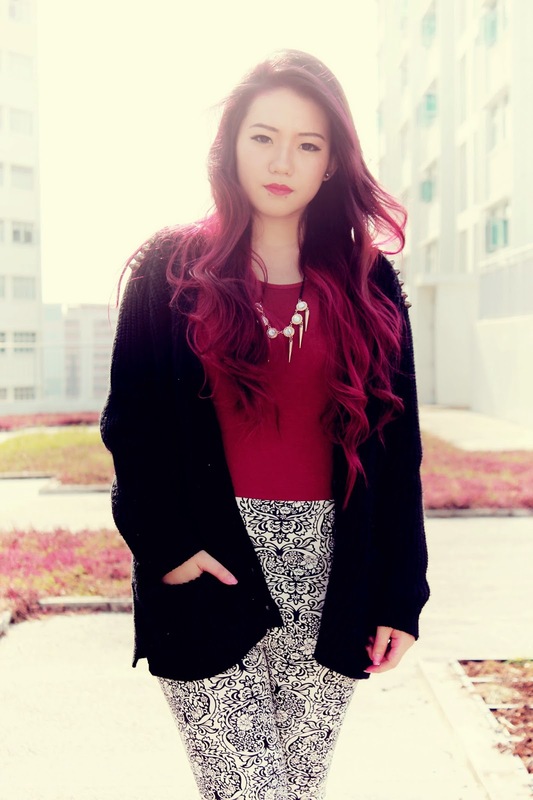 I love your hair colour its really nice and suits you! U better refund me the money! been months !u know who is this. few months ago, u asked me to close the paypal case then you gonna refund me. then u went disappear! guys, seriously?